Leaving the house with a baby is a lot of work. How do you make sure you’re taking the right stuff (but not too much stuff!) for a successful day out there in the world? An easy-to-pack diaper bag with lots of room for all the things you (think you) need can make all the difference. You might already know about the Baby K’tan baby carrier (you know, the one that looks like a wrap without all the wrapping). 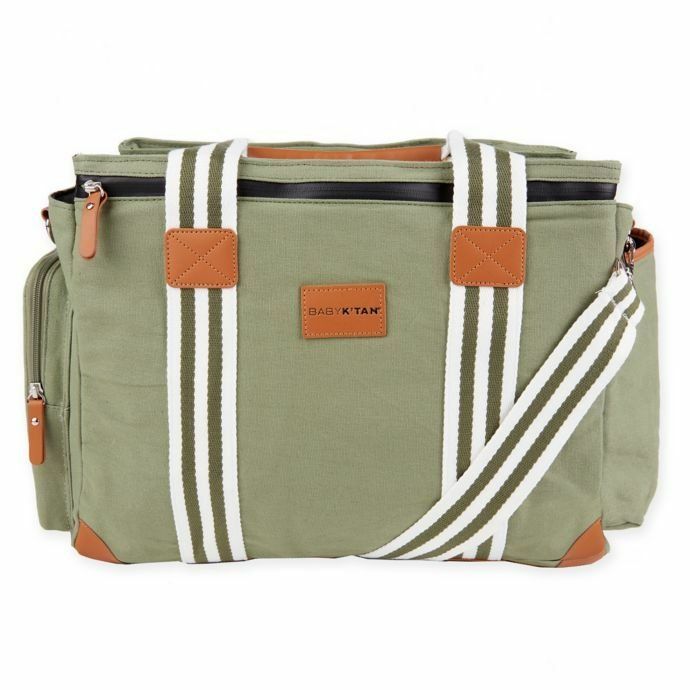 The brand's new Weekender Bag is the perfect gift for any new parent or caregiver. It has 9 separate compartments (! ), which means you can take alllll the things. Need more diapers? Throw them in there! A spare set of clothes? There’s room for that too! Plus tons of smart features, like a large thermal pocket for hot food or cold bottles, a safe padded laptop pocket and a wipe dispenser conveniently placed on the outside of the bag, so you don’t have to dig to find it. The Weekender even comes with things you didn’t know you needed (but you totally do! ), like an antibacterial wet bag for your little one’s soiled clothes. Available in three gender-neutral colors, the Weekender Bag is perfect for the new mom, dad, babysitter or even grandparent on your list, and at $89.95, it’s one gift that won’t require you to break the bank. *We've partnered with Baby K'tan to help you shop for the on-the-move parents on your holiday shopping list!